This was a fun one for us! It was one of heartwarming stories you feel like you only hear in the movies - This couple actually knew each other since they were in diapers! (Wowzers!). Before our bride and groom were born, their parents lived in the same neighborhood and became close friends. They ended up having kids around the same time (two of them being our bride and groom) and grew up hanging out in the neighborhood together. As they grew older, they went to different schools, did their own thing - only to reconnect years later, start dating, and then earlier this year - get married! How cute is that?! 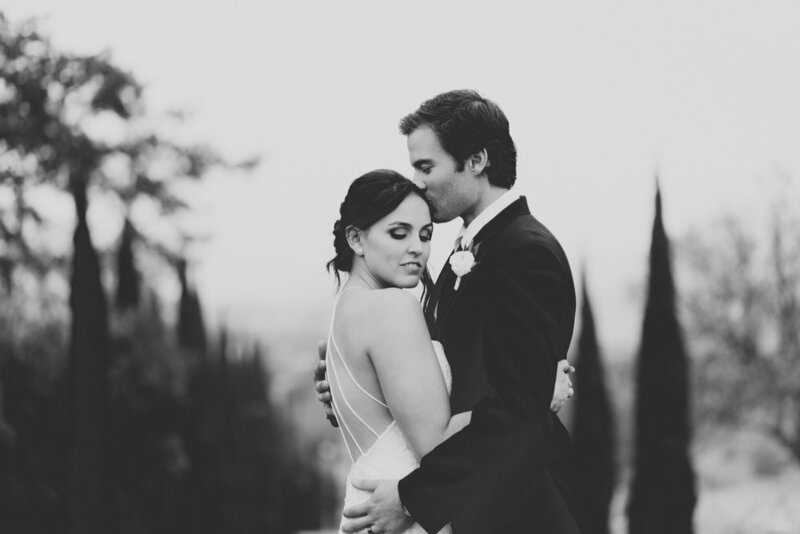 PERSONAL DETAILS // This wedding was full of personal touches created by the Bride and Groom. We see a lot of different types of decor throughout weddings, but our favorite are ones that are personal to the bride and groom - like this memory table with those loved ones who they wanted to make sure they knew were with them on this special day. One of the fun details from their ceremony included these wood signs that listed out who was part of their special day and photos (so fun to look at!) Once guests followed the path down to the ceremony, they were greeted by this gorgeous arch by Florals by Jenny that tied in so well with all of our greenery surrounding the ceremony site. Isn’t a stunner?! 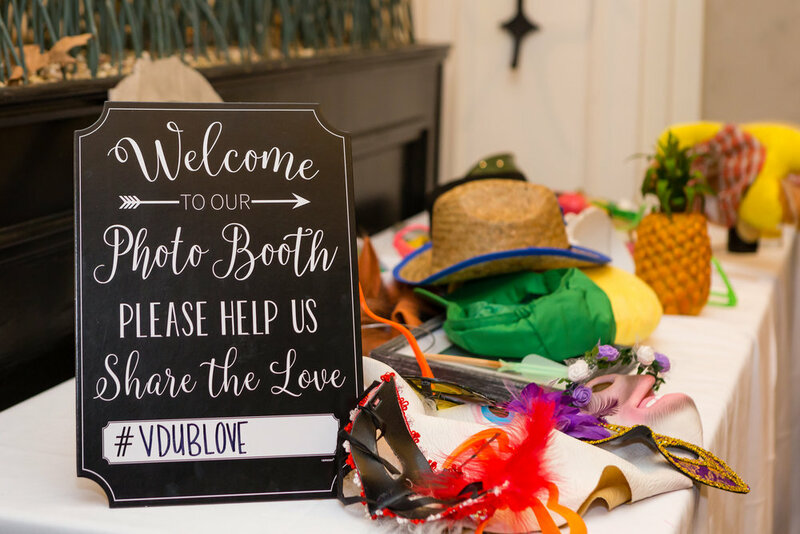 RECEPTION FUN // The fun definitely took place at this couple’s reception! Remember I said personal touches? If you look closely - this couple had a cake topper customized with their little dog right next to them! Isn’t that so cute?! 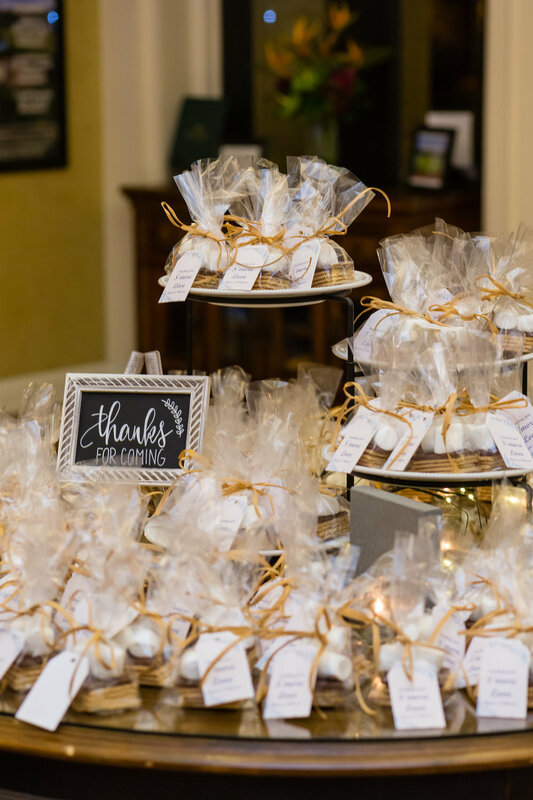 Along with a fun (and gorgeous) cake, the couple brought in a photobooth, which is always a crowd pleaser, and then had the sweetest send off gift for their guests on their way out - S’MORES! (The tags read “Sending you S’MORE love”) - So cute! Newer PostOur FALL 2018 Dinner Menu is here!